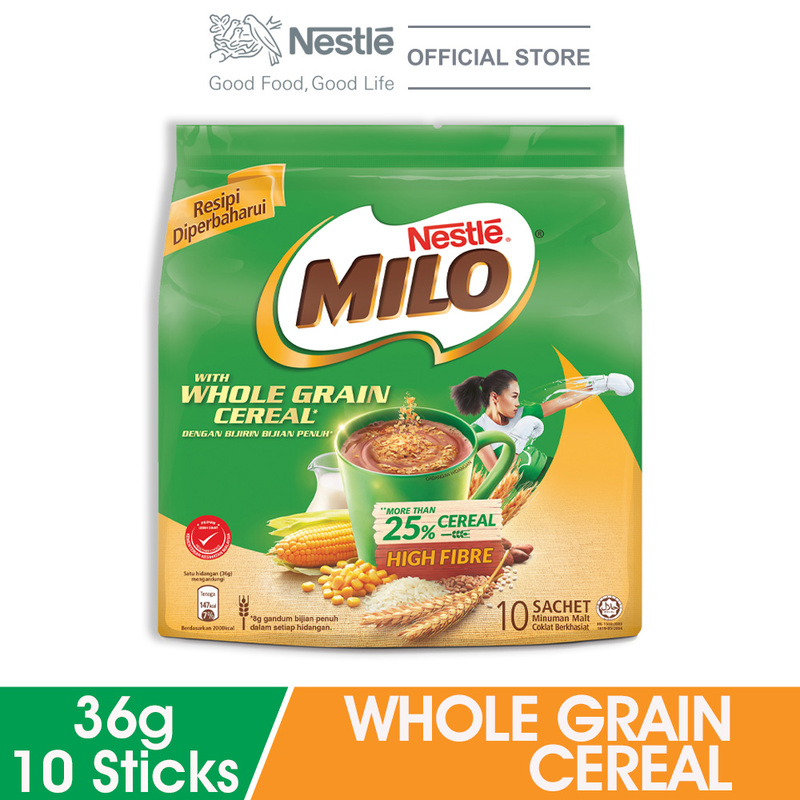 MILO Cereal gives the energy and taste of Malaysia's much-loved MILO, plus the filling of healthy cereal flakes, for fighting the hunger pangs. 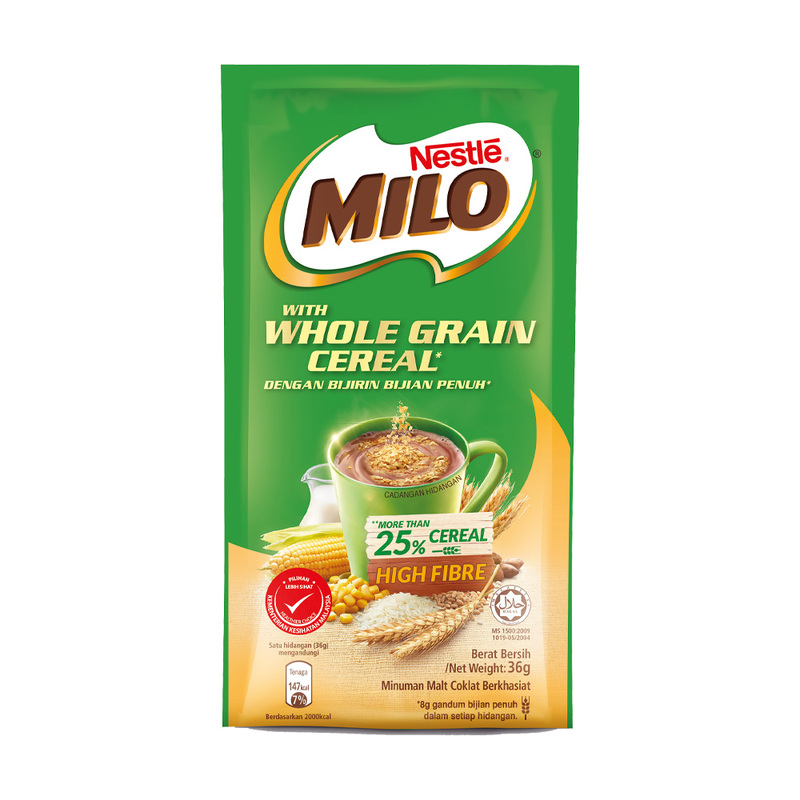 It combines the natural goodness of cereal with the great nutritional value and energy of MILO. It also has PROTOMALT, made from the wholesome goodness of malted barley and is a specially-designed mixture of carbohydrates for optimal energy generation. Together with milk, cocoa and vitamins and minerals, it gives balanced nutrition in every cup. It comes in an easy-to-use, single-serve format so you can easily prepare MILO Cereal anywhere, anytime. Just add hot water. Skim Milk Powder (Milk Cow), Whole Wheat, Sugar, Malt Extract (contains barley), Maltodextrin, Cocoa, Palm Oil, Rice, Corn Grits, Mineral, Salt, Vitamin. Contains Permitted Flavouring Substance (Vanillin). All additives are of plant or synthetic origin.